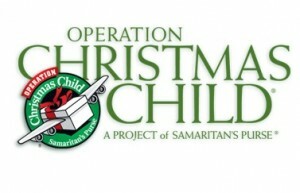 Once again, this year at Newtown Evangelical Church we are supporting Operation Christmas Child, a project of Samaritan’s Purse that has been running since 1990. This involves filling shoe boxes that can be sent as Christmas presents to under-privileged children around the world. Last year, as a church, we had the privilege of sending over 60 shoe boxes through the project. Shoe boxes are available in the church – simply take one home, choose whether yours will be for a boy or a girl and what age group, and then enjoy filling it safe in the knowledge that it will bring a great deal of joy to a child who has very little. For help in what to pack in your box, click here. Once your shoebox is filled, bring it back to the church by the 29th October so they can be collected for shipping. You can then donate to cover shipping costs and follow your box online. The below video shows something of the work of Operation Christmas Child over the past 25 years and the difference you can make with this small gesture.